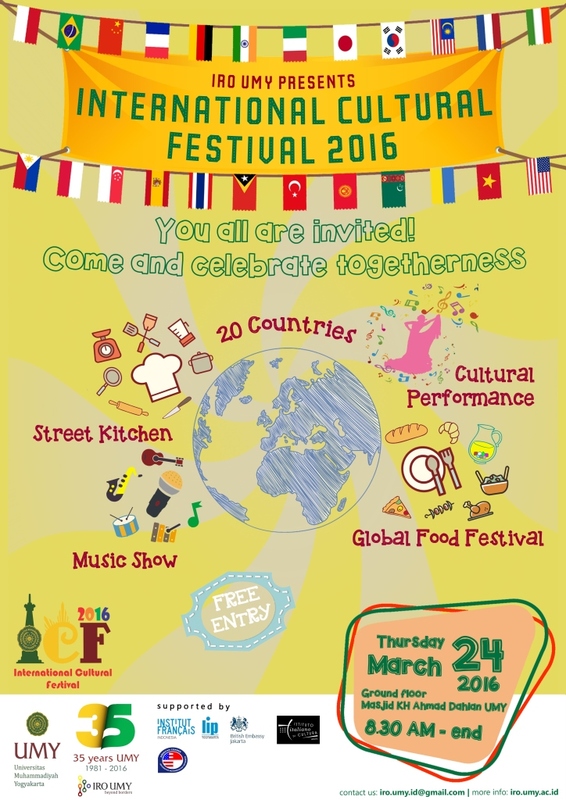 Universitas Muhammadiyah Yogyakarta (UMY) will conduct the 2nd International Cultural Festival on March 24, 2016. 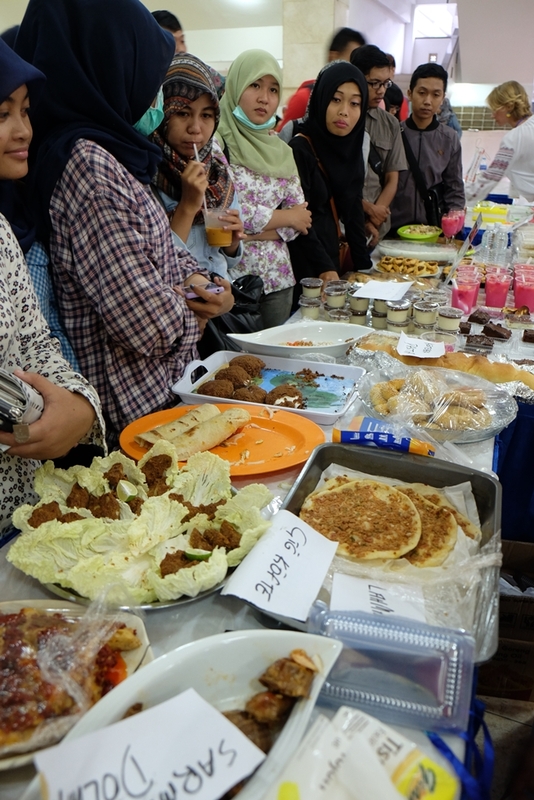 The event will invite International Students from 20 different countries in Yogyakarta and surrounding areas. 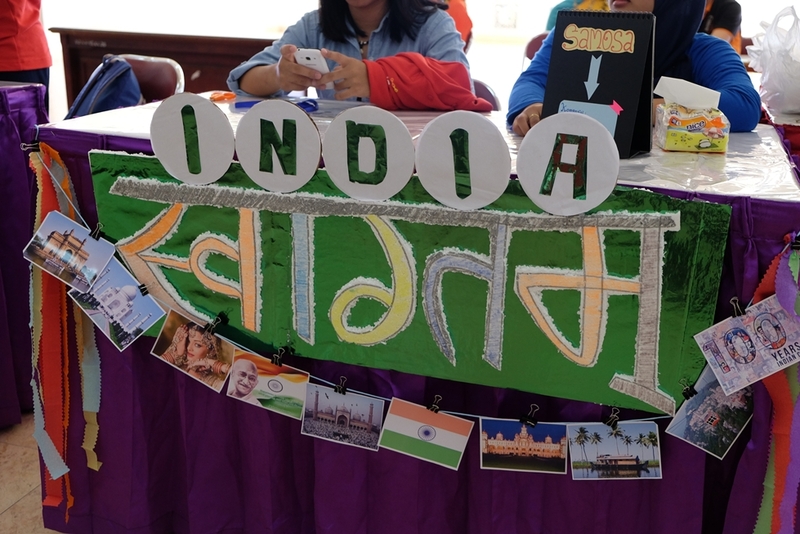 Other than foreign students from ASEAN countries that participate the event, far-away countries will be also joining such as Spain, South Korea, Ukraine, India, etc. Wider collaboration with Universities and institutions in Yogyakarta, International Cultural Festival this time will be more diverse. Each country will show the uniqueness of their countries, from tourism places, cultures and traditional cuisines. Each country will serve their foods by live street kitchen, and their traditional cuisines will be served ‘fresh from the oven’. 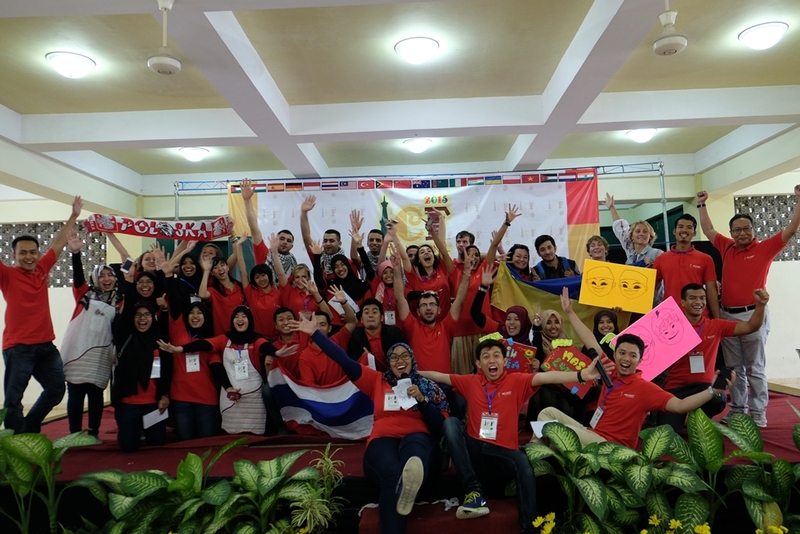 Not only the students, but also agency and formal representative such as Nuffic Neso form the Netherlands, Institut Français d’Indonésie from France and Lembaga Indonesia Spanyol (LIS) from Spain. 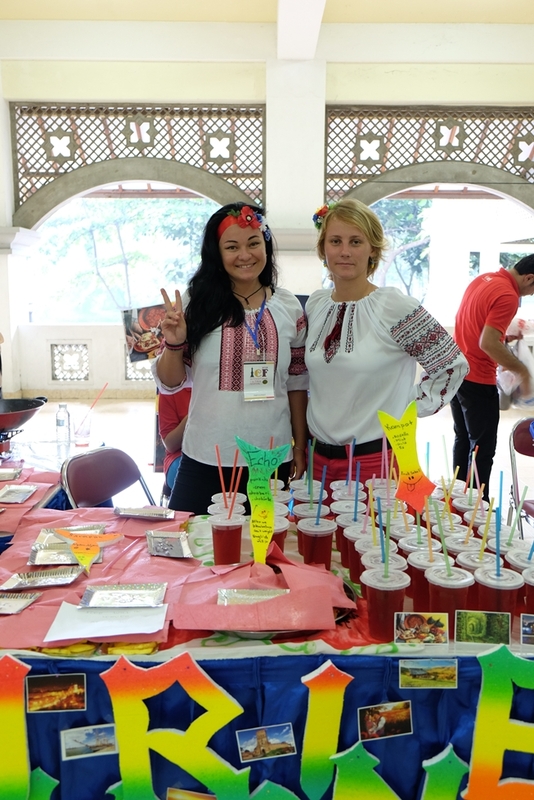 UMY 2nd International Cultural Festival is not also promoting other countries’ cultures but also promoting Indonesian culture by performance from some regions in Indonesia, including Aceh, Bali, Kalimantan and NTB. Experience the variety of cultures in a day. 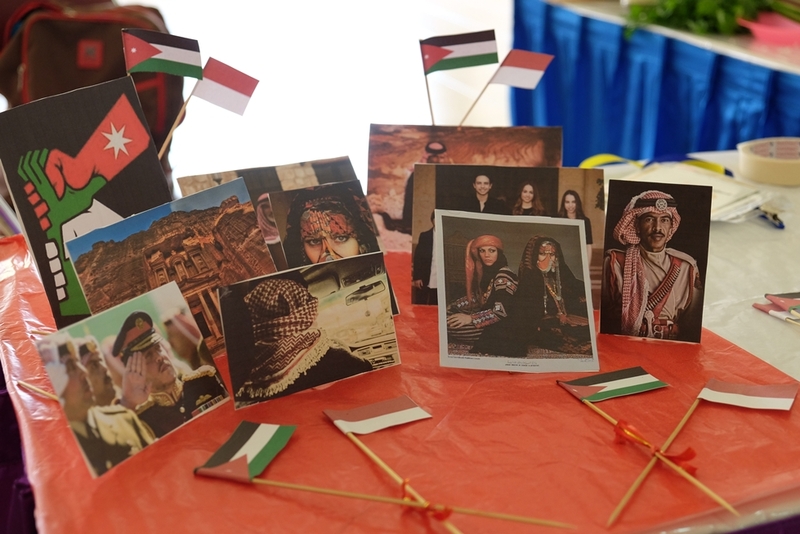 Bringing the theme “Shining Beyond Borders,” each country will promote their cultures and foods. Students will feel international atmosphere in one place. The diversity of languages and cultures is to enrich the international feel for us as a global citizen. This event will also gather international students and Indonesian students in one event to strengthen the relations among students in Yogyakarta. Mark your calendar on March 24 for Universitas Muhammadiyah Yogyakarta 2nd International Cultural Festival. Be part of the bigger festival, more glorious event and feel the beauty of living in diversity. Be the part of global citizen to shine beyond borders.